Observation - Drumming - UK and Ireland. Description: Great Spotted Woodpecker drumming - male has red on nape. 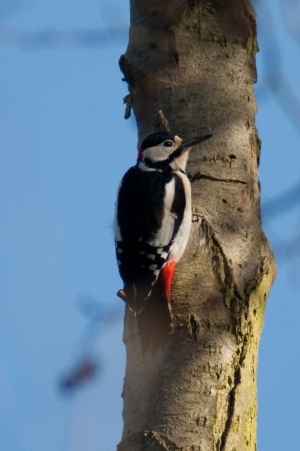 Great Spotted Woodpecker drumming - male has red on nape.